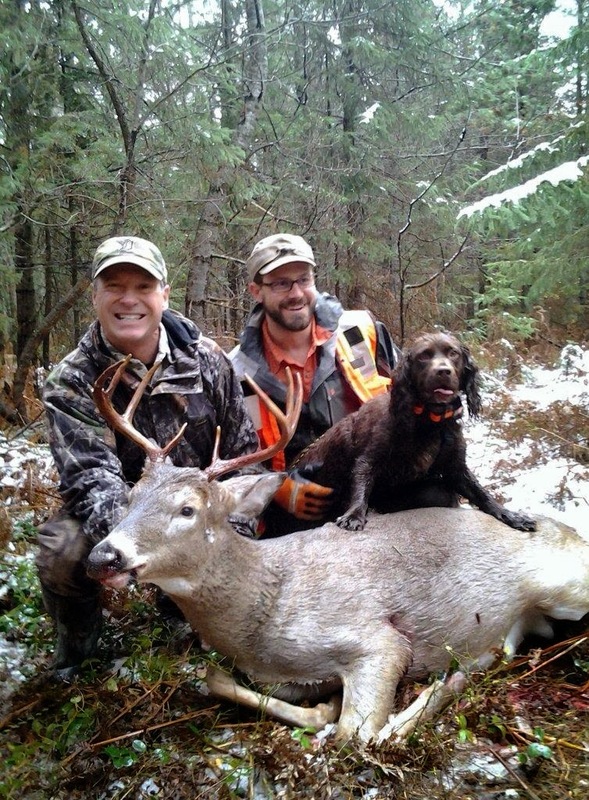 I am an avid hunter and have been for the last 32 years. However the amount of lost deer has always bothered me. I don't blame anyone, it's just part of hunting and anyone who hunts long enough will loose some animals. Though out my early years as a hunter I had a lot of opportunities to track deer by sight, both for myself and with friends. Some we found, many we did not. I worked hard to perfect my sight tracking skills, read everything that I could on the topic and bought every light, string tracker and spray on the market, but we still lost deer. 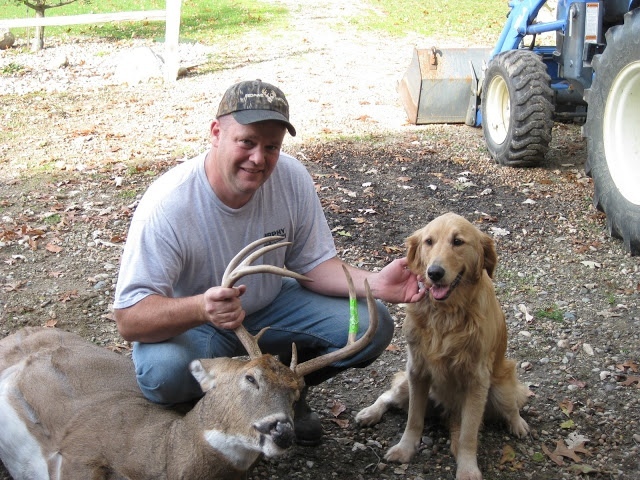 In about 1996 I started to hear about people tracking wounded deer with dogs. At this point it was not legal yet in Michigan. I started to look into the practicality of training a dog for myself and I eventually I did right around the time the law changed to allow for it (1998). Since that time I've trained 4 dogs and am currently working with a 2 year old Lab. I still like to hunt but I enjoy helping other people find deer more. The clients are happy and the deer does not go to waste. 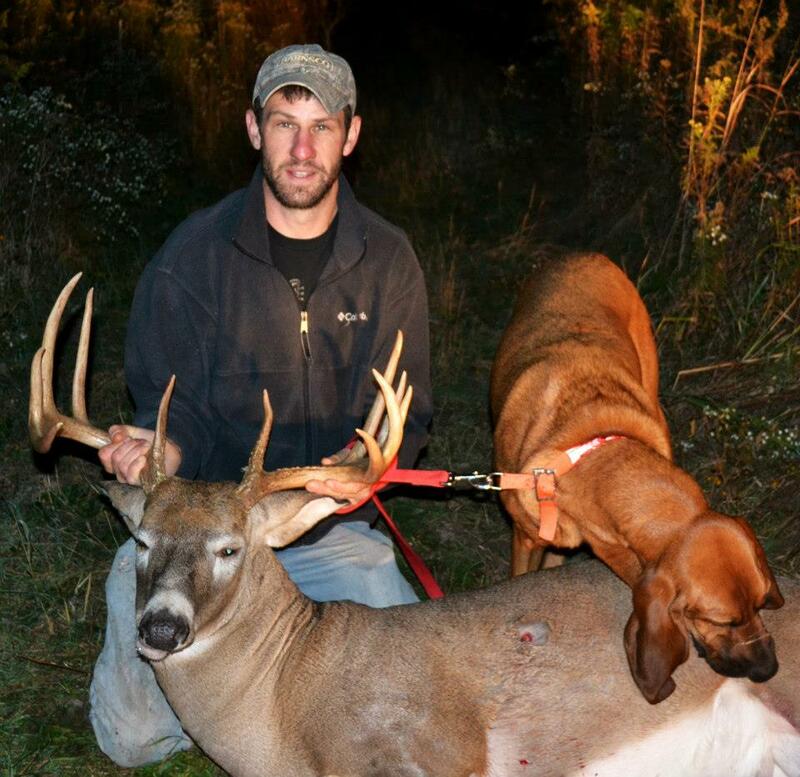 For the last couple of years I've been tracking with Rob Miller and his tracking team at Michigan Deer Tracking Hounds, which has taken my tracking to a whole new level. 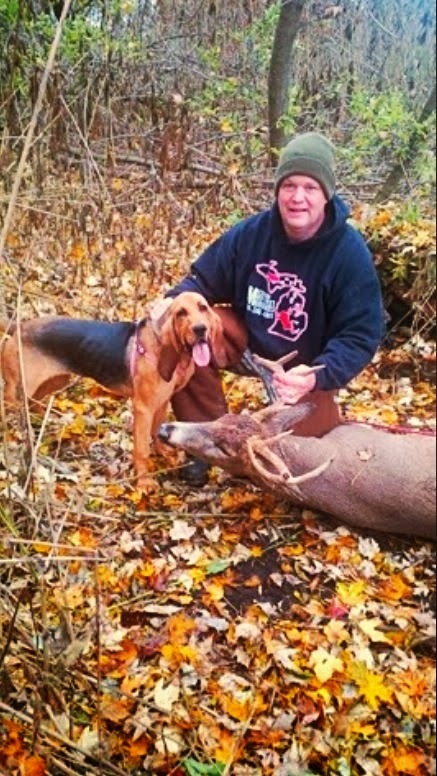 All of the Michigan Deer Tracking Hounds trackers really care about tracking and spend countless hours training, so they can be the best of the best. We won't find every deer but we will make an honest effort and will find more than most trackers. I love tracking but do have other commitments which include my wife, 5 children and a full time job. If you need help finding a lost deer, please realize that I will do everything that I can to make myself available but because of my other commitments, I'm often unavailable. Even if I can't come out to help I will always return your call, offer you suggestions to increase your chances of a recovery and refer you to other trackers if practical. I live in east Lansing I'm willing to travel 1/2-1 hour radius of my home. Maybe further if I have the available time.